Learn how to analyze your data with this post-run walkthrough. You've done all the hard work, finished your run, stretched out your muscles, and are now ready for an in-depth review. There are many options to go through in the review screens. 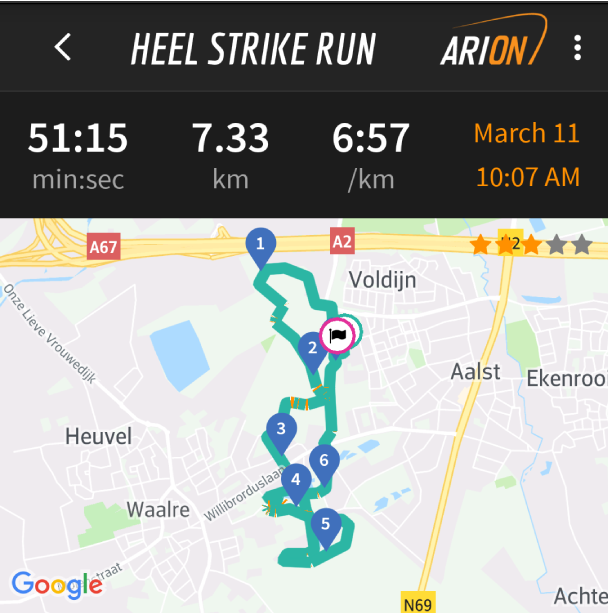 You will find here all the information that you are used to from any basic running app, alongside some very new and interesting metrics and reviewing possibilities. At the top of the review screen is a short run summary. You'll find here your most basic results such as duration, distance, speed/pace, and a map. You can tap on this map to enhance it and to pinch and zoom as you like. Moving down we have the goals you (or the AI coach) have set for this run (if there were any), followed by the different splits of the run. 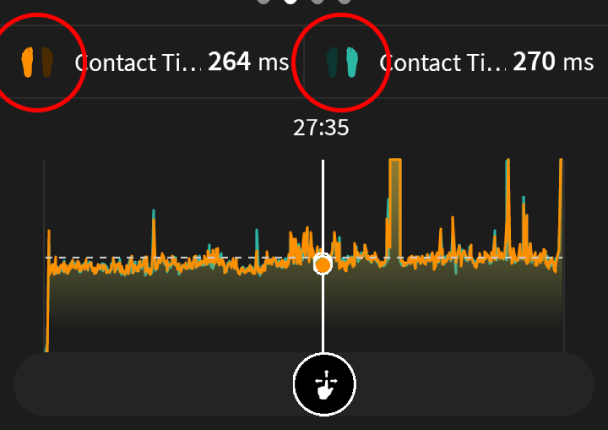 Here you can quickly see which split was quickest or slowest, and how consistently you performed during the duration of the run. During the run you will never place your feet on the ground in exactly the same fashion with every step. Whilst you have the ability to review every single step individually, there is also this option to see the 'average step' of both the left and right foot. This gives you a high level understanding in the differences between your left and right foot. Pro tip: Use the chain icon to either play the animation for the left and right foot sequentially, or in parallel. Moving down there is a list of all the metrics that have been recorded. These are all averaged out over the whole run, with the last column indicating how much this metric has changed compared to your previous run. Last in this screen is the biomechanical load. Based on the input the system receives, it provides an indication on how the loading is distributed in your body. This gives you a clear indication of which parts of your body might be at a greater risk of injury. At any given point during your post-run analysis, you can dive in even deeper and reach the 'Session details' screen. You can do this by either pressing the map, the pressure map, any of the metrics in the metrics list, or the bioload image. In the 'Session details' screen, you can analyse your data down to a single step. 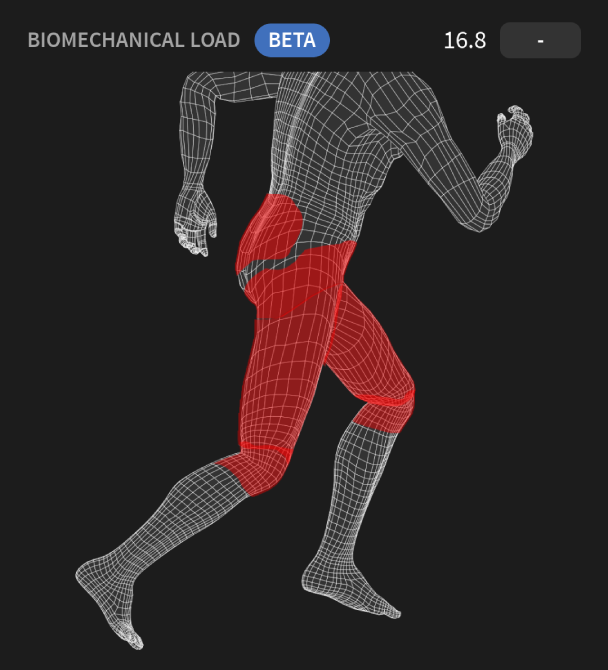 Swipe the upper section left and right to switch between a mapping view, a pressure map view, a biomechanical loading view, and a parameter list view, which all show the data point of the specific step that you have selected. You now also have a graph available at the bottom to see your parameters and how they change over time. 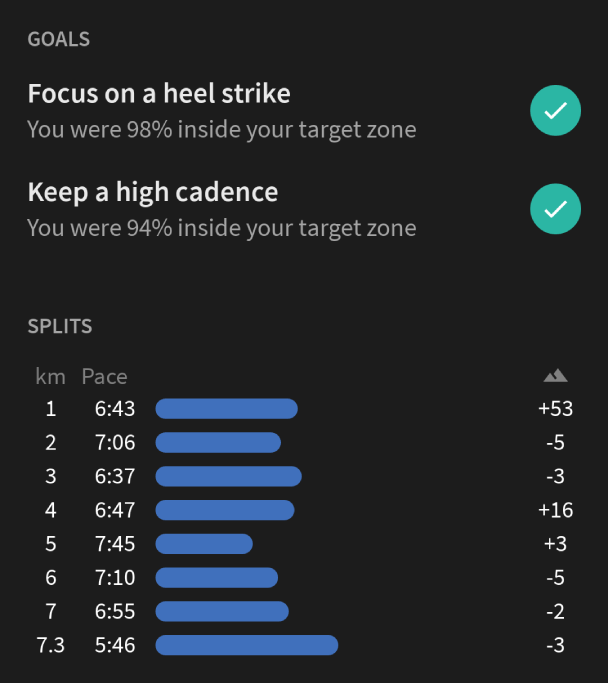 You can scroll through every step of your run, and overlay two parameters to see how they compare. You can even select the same parameter twice, and use these buttons to toggle between left foot, right foot, or both, in order to spot the differences between the left and right feet!